And now for a remarkable personal story which departs from our usual blog topics. Slone Partners’ founder Adam Slone was born with Gaucher’s Disease, a rare genetic disorder that enlarges the spleen and can cause bone crisis and fatigue, regularly sidelining him from raucous playgrounds and sports as a child. Proper diagnoses, dedicated physician care, and pharmaceutical therapies throughout his childhood and adolescence finally enabled Adam to explore something he yearned for – physical fitness and the great outdoors. And from the miracles of modern medicine, he discovered the wondrous world of tennis. Aerobic, balletic and often intense, tennis mastery requires the relentless execution of optimum performance, consistent coordination, tactical intelligence, respect for others, and raw perseverance. The life rewards of winning a single point, winning a set, and winning a match paid Adam unexpected dividends off the court – often, the difference between winning and losing was simply a state of attitude. In his mind, he was elevated, no longer sidelined or diminished by his disorder. When one believes they’re a winner, confidence soars, and success follows. By never giving up, the sick child with a rare disease achieved unusual tennis success, receiving a USTA 5.0 level rating earned by less than 1% of players worldwide. Empowered, Adam founded Slone Partners 17 years ago to assist healthcare firms in discovering the brightest minds, who, in turn, discover new treatments, controls and preventions for disease. Like Gaucher’s. His life’s work is a story of his life coming full-circle. That’s a remarkable story of achievement, and the entire team at Slone Partners is honored to be a part of that talent-identification process our clients rely upon. But Adam took his personal mission a step further. In 2015, Adam Slone founded Life Serve Youth Foundation (LSYF), a non-profit organization dedicated to instilling confidence, discipline, and positivity into the minds of underserved, high-potential inner-city kids. How? Tennis, combined with an interesting blend of leadership training, camaraderie and lots of outdoor activities which ultimately help the campers learn to believe that they can accomplish anything in life. 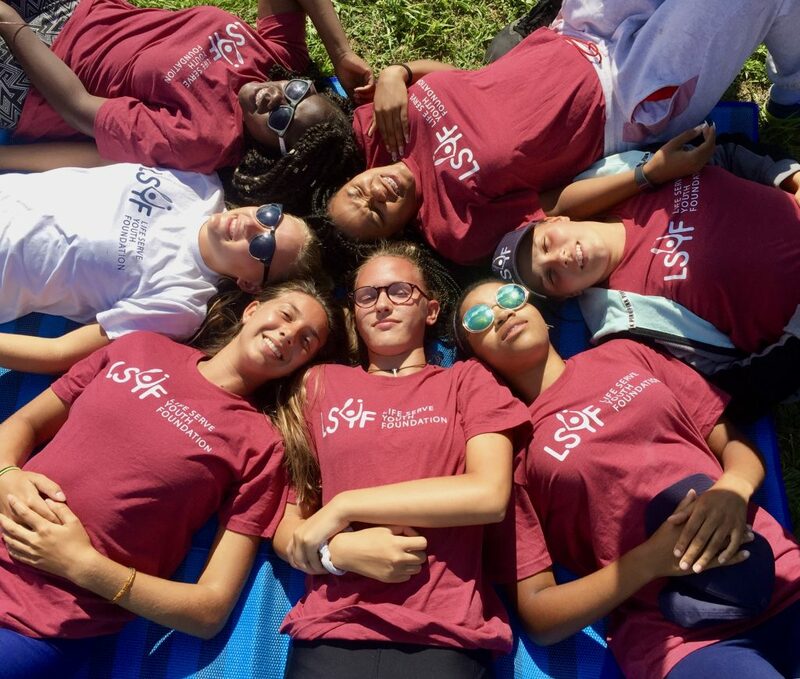 This past August, the Second Annual LSYF tennis camp commenced in upstate New York, the nation’s first and only zero-cost sleepaway tennis camp where Adam and his team of tennis pros personally mentored dozens of young adults. During the 2-week program, 56 kids participated, ranging from 11-17 years, 29 of them returning campers from the inaugural 2016 session, traveling from large cities like Brooklyn to various rural communities in between New York and Boston. They decamped to Camp Eagle Hill in Elizaville, New York, 90 miles from Manhattan, in the foothills of the Berkshire mountains, to an idyllic setting most had never experienced – wide open spaces, lakes, wildlife, starry nights, and campgrounds. Most vitally, many of the newer participants had never before traveled outside their hometowns. Yes, they had to play tennis and have a love for the game. No, their families didn’t pay for the 2-week camp – the program was fully underwritten by Life Serve Youth Foundation. Everyone at Slone Partners congratulates Adam on his commitment to make the world a healthier place. LSYF is making a material difference in the lives of at-risk youth who have productive, meaningful lives in front of them.